Why Do People Use Bay Laurel? Possibly Unsafe - Laurus nobilis (Bay laurel) is unsafe when used for oral purpose. It is not only an irritant for people of all ages but can also result in grim consequences like failure of respiratory system, heart failure and even death. Possibly Unsafe for Pregnancy and Lactation - No studies have performed to check the safety of this product during conditions like lactation and pregnancy. Bay laurel powder is a known irritant so it might be associated with some serious side effects for both mother and her child. Therefore, females who are pregnant or are feeding their children should avoid making use of Laurus nobilis. How Effective Is Bay Laurel? Regarding the effectiveness of bay laurel powder there is insufficient reliable information available. The most vital part of Laurus nobilis is its dried or fresh leaves. Bay laurel include several chemical constituents including flavonoids, andromedan derivatives and acylphloroglucinols. Andromedan derivatives play their role as blockers of sodium channels that inhibit conduction by stopping closure of excitable cells. Grayanotoxin I, a derivate of andromedan, and acylphloroglucinol can prove to be toxic for cellular structures. What Are The Side Effects /Adverse Reactions of Bay Laurel? When used for oral purpose, bay laurel powder can result in pain in the mucous membranes of the oral cavity and the stomach, cold sweating, vomiting, increased salivation, nausea, headache, dizziness, paresthesia, diarrhea, intoxication with temporary loss of vision, fever attacks issues, coordination disorders, muscle weakness and spasms. Cardiac arrhythmias, bradycardia, eventual cardiac arrest, decrease in blood pressure and respiratory failure can lead to death. How Bay Laurel Interacts With Other Herbs and Supplements? How Bay Laurel Interacts With Drugs? How Bay Laurel Interacts With Foods? How Bay Laurel Interacts With Lab Tests? How Bay Laurel Interacts With Diseases and Conditions? What Should Be the Dose/Administration of Bay Laurel? 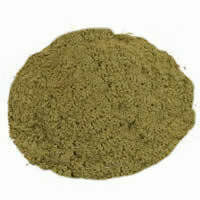 TOPICAL Bay laurel powder is available in homeopathic preparations only.